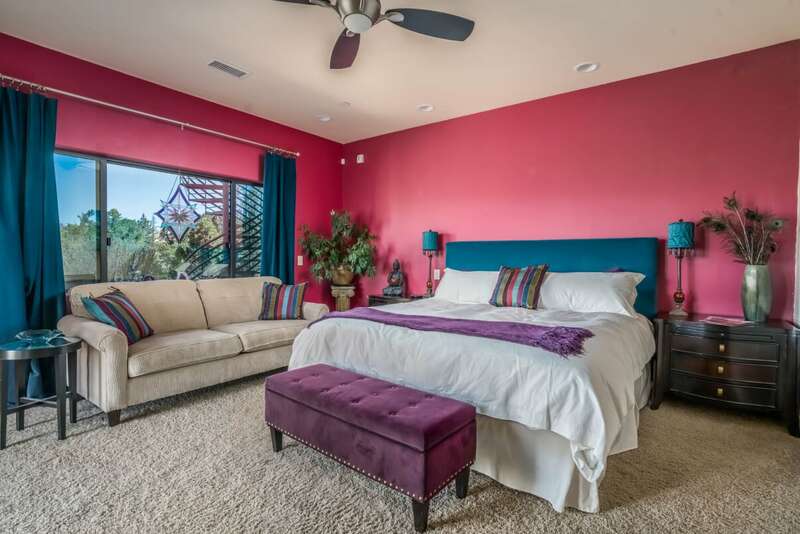 Casa De Llumination is the perfect home for this experience; with 5 bedrooms, 3 full baths and 1 half bath and the ability to comfortably sleep 10 guests. 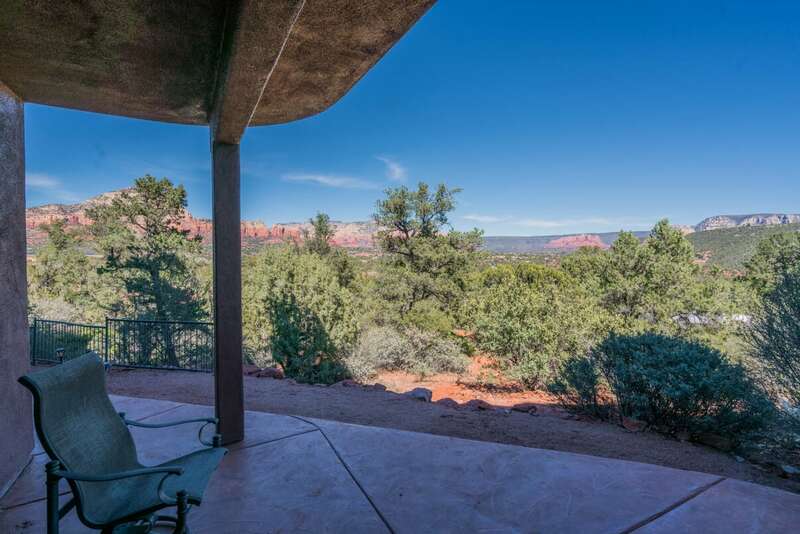 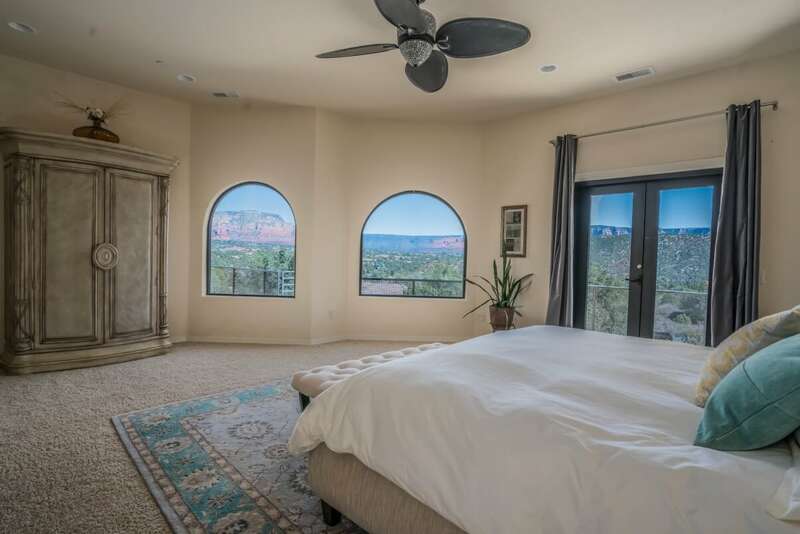 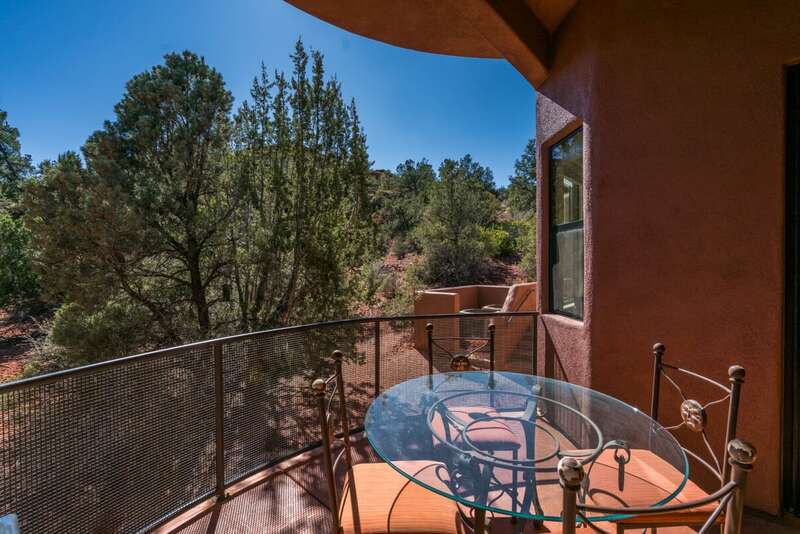 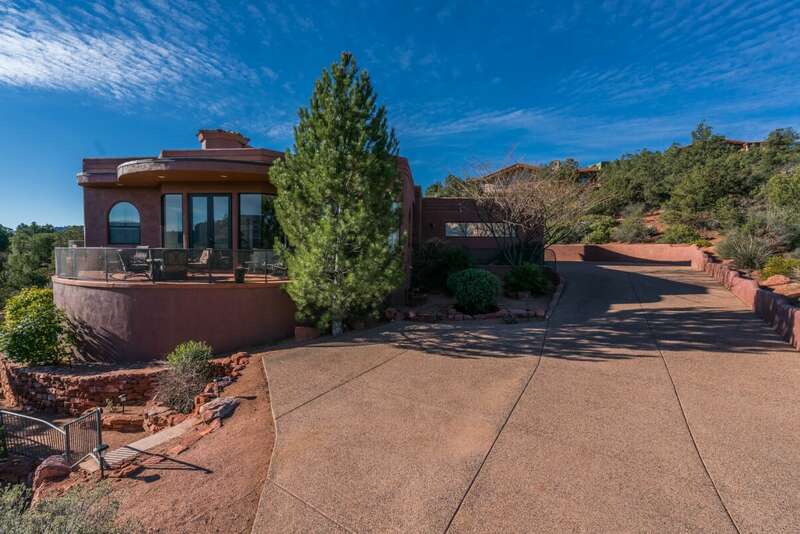 Welcome to Casa De Llumination, a one of a kind hillside home with stunning 360-degree views of Sedona’s world famous red rock spires. 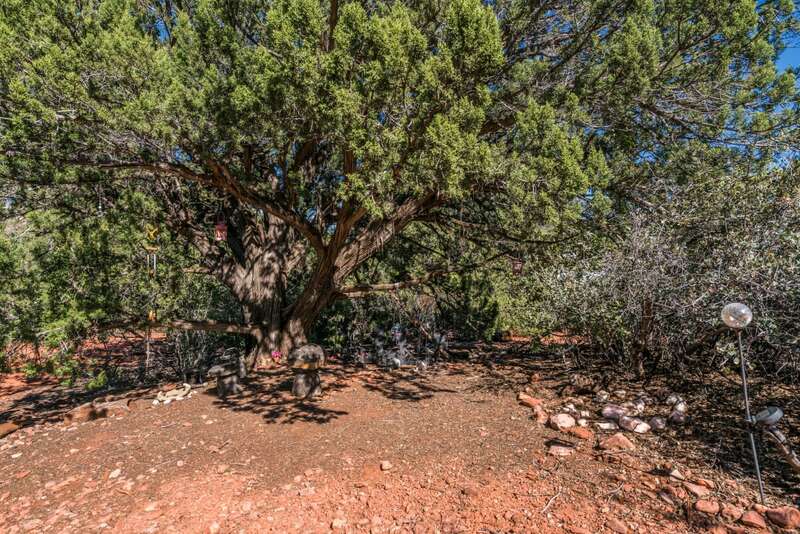 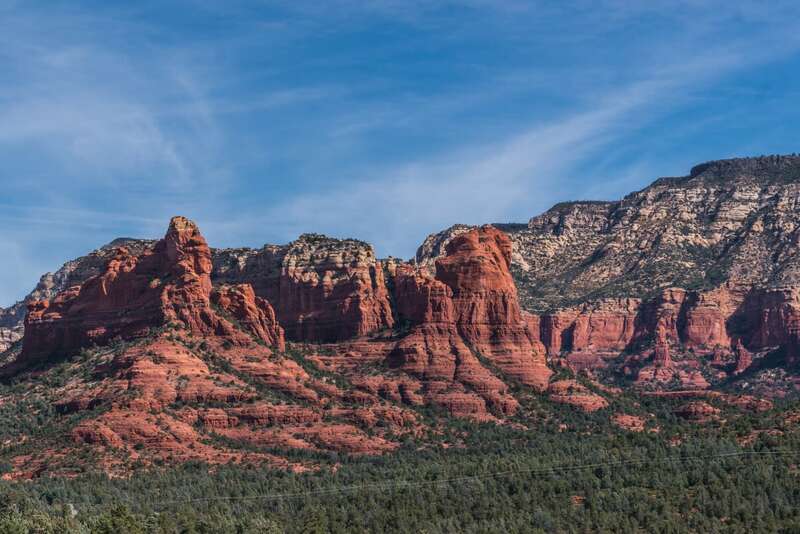 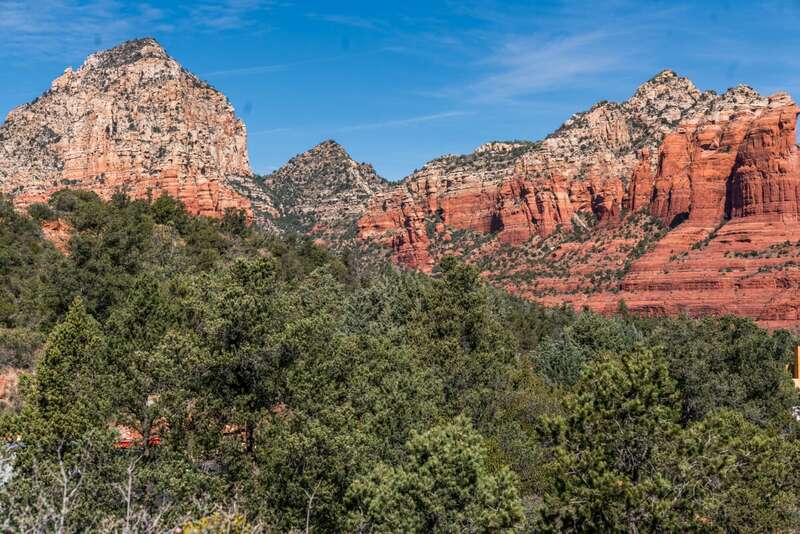 Sedona is world renowned for its spectacular beauty, but Sedona is also known for its superior energy. 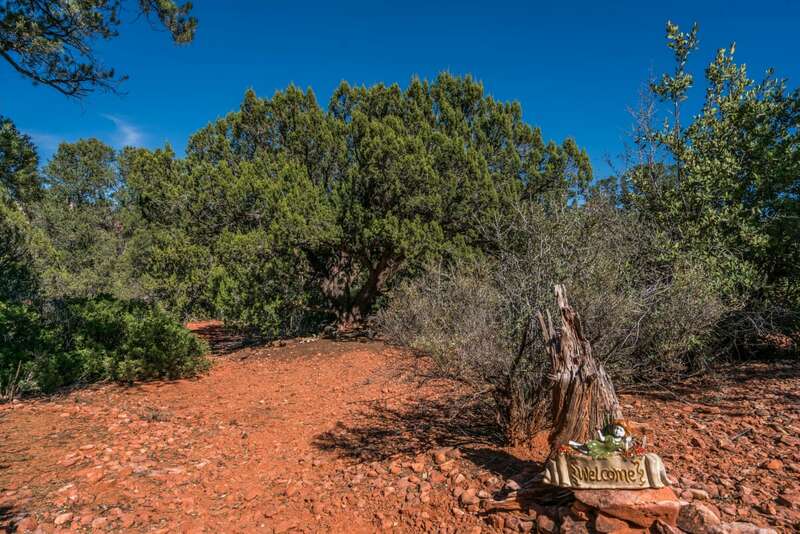 With Native American cultures, crystals, vortexes and even magic, one has to experience Sedona personally to truly understand. 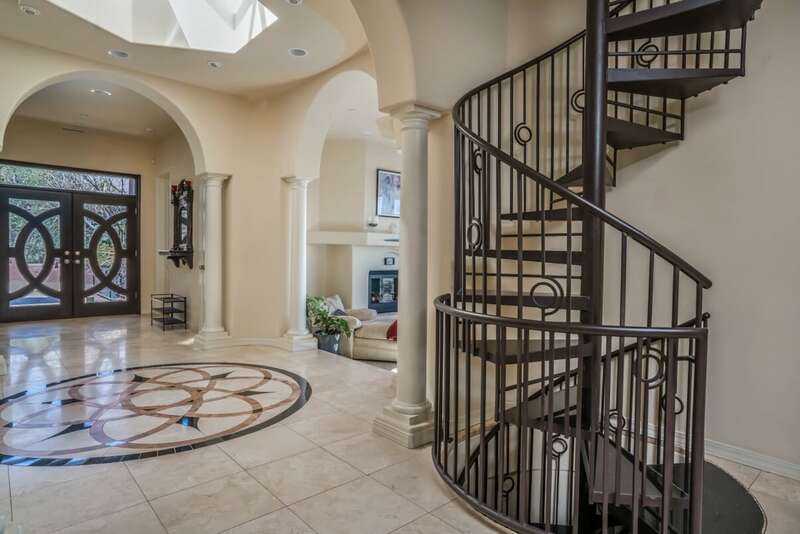 When you step into this home the feeling of stress leaves and you start to unwind. 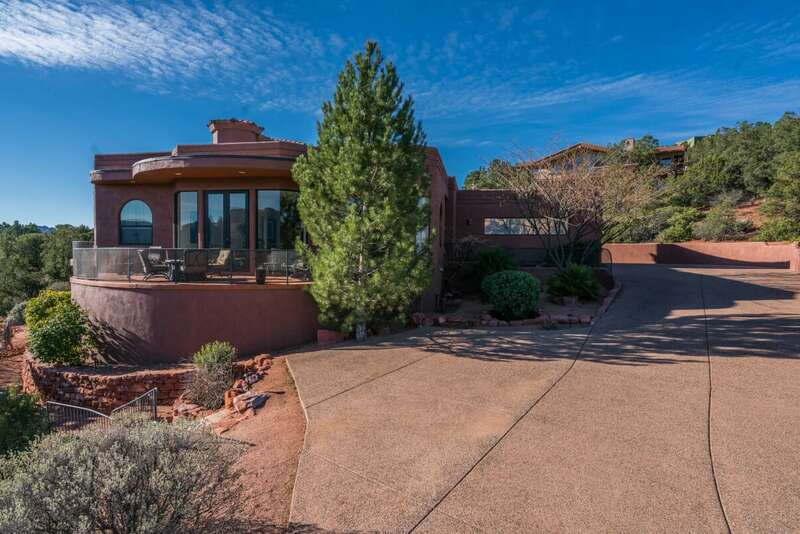 The home is divided into 4 quadrants representing earth, fire, water and air. 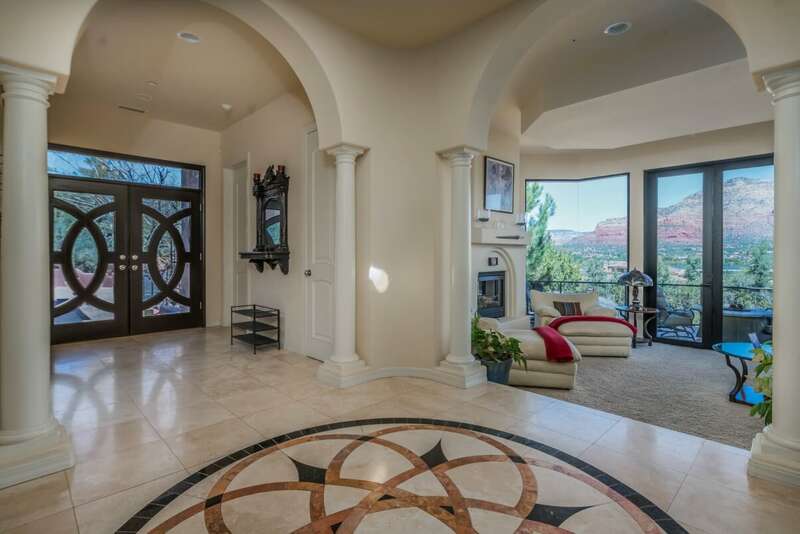 When you enter, a dragon mirror in the entryway represents the fire quadrant of the home. 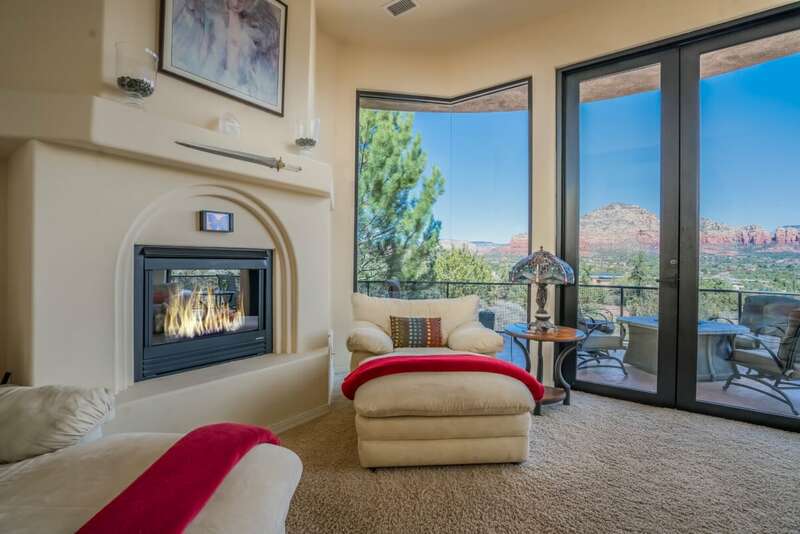 The great room represents the air quadrant, with floor to ceiling windows and a twinkling LED ‘starry sky’ ceiling. 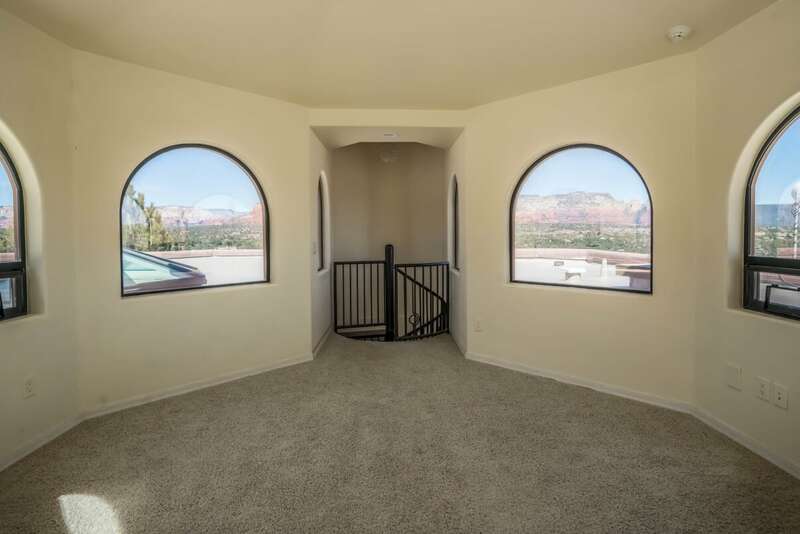 Just off the great room is your own private veranda. 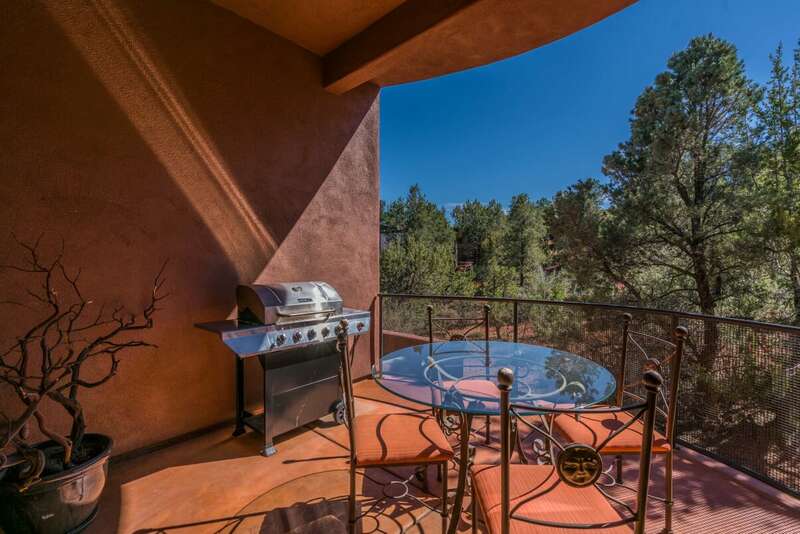 Gather around the fire pit or grill up a feast on the barbecue and take in the gorgeous views of Thunder Mountain. 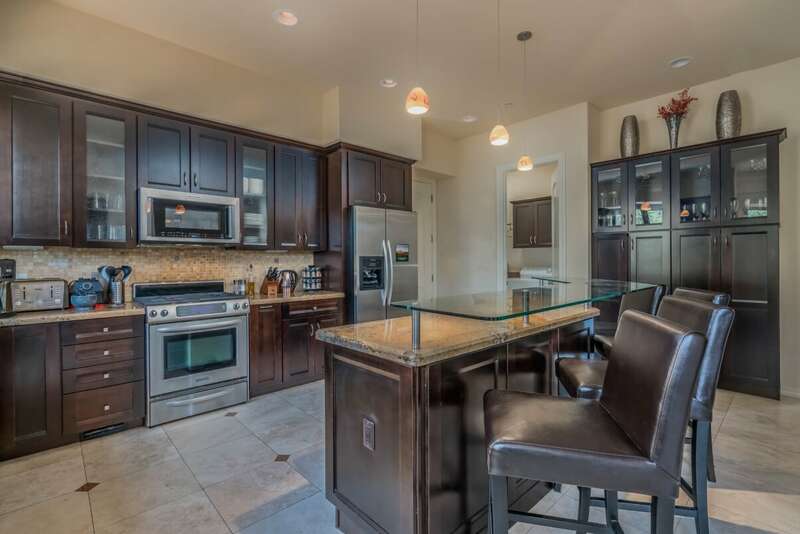 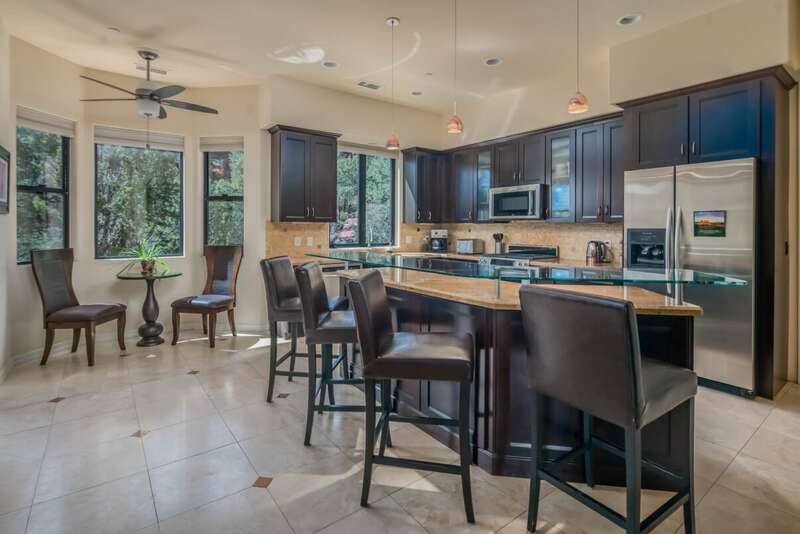 The gourmet kitchen is a chef’s delight, with granite countertops, stainless-steel appliances and floating glass breakfast bar. 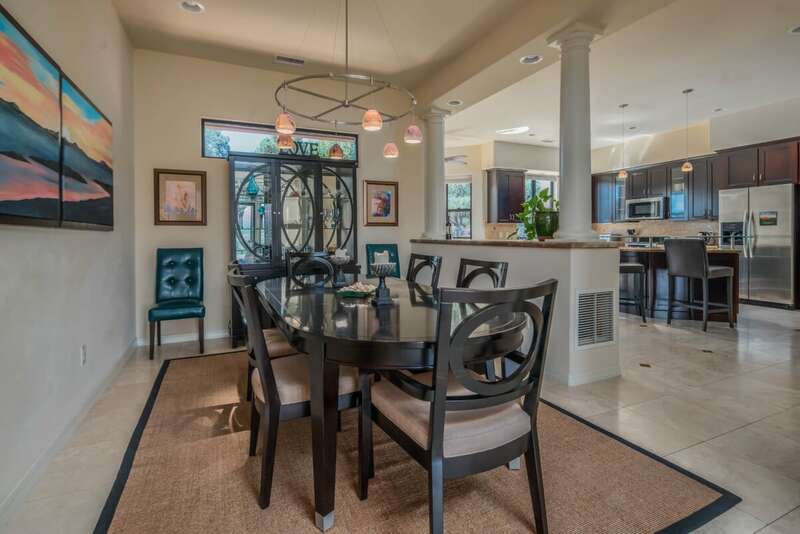 The dining room represents the water quadrant, with watery hues that reflect the peacefulness of the surrounding area. 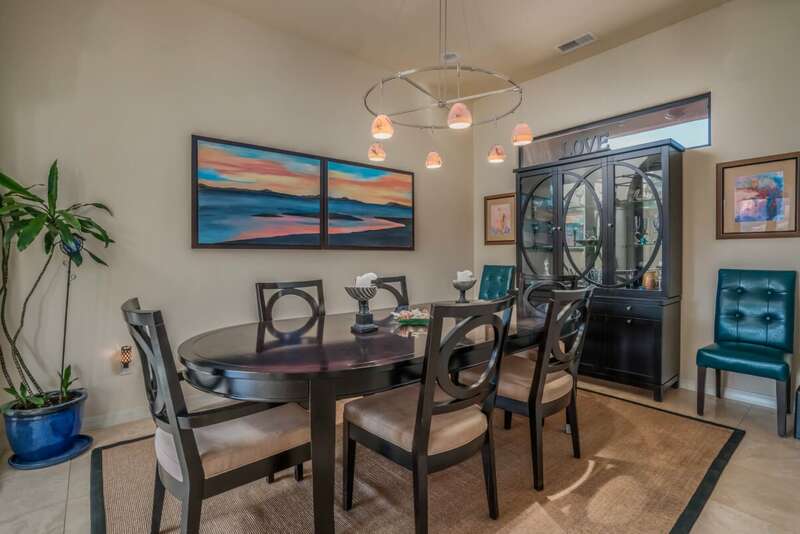 Enjoy your meals around the oval dining table that can comfortably seat 8 guests. 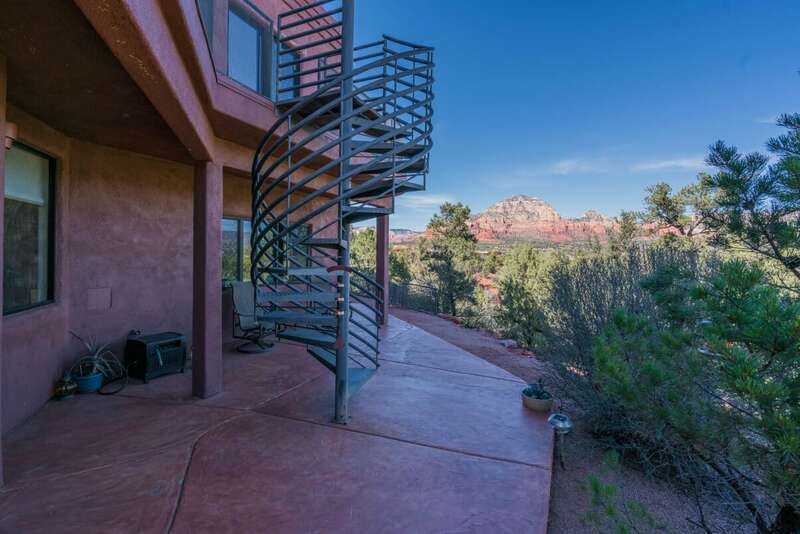 Take the black galaxy granite and iron spiral staircase up to the Moon View turret and soak in the sunshine and unobstructed views. 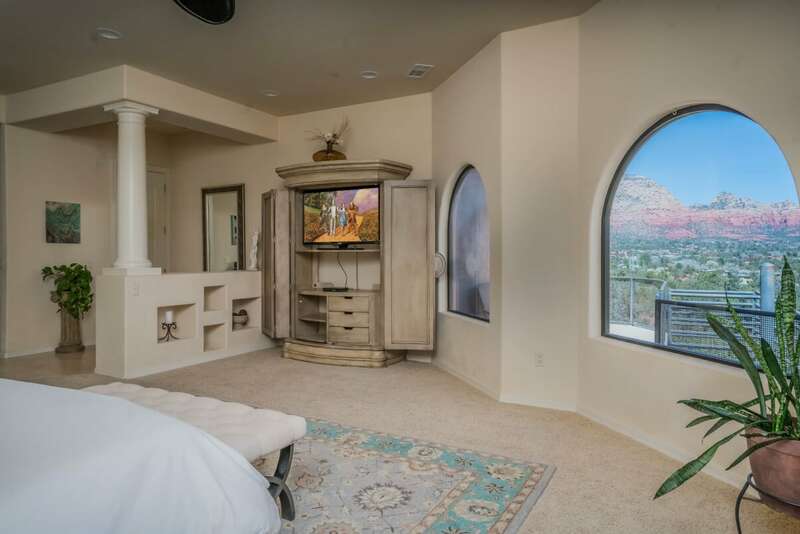 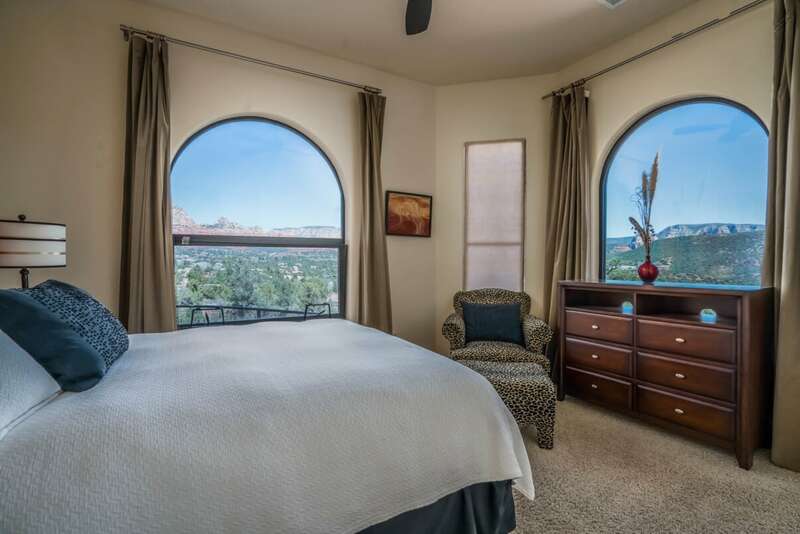 Back on the main floor you will find the spacious master suite with a plush king bed, TV and unbelievable views just out the arched windows. 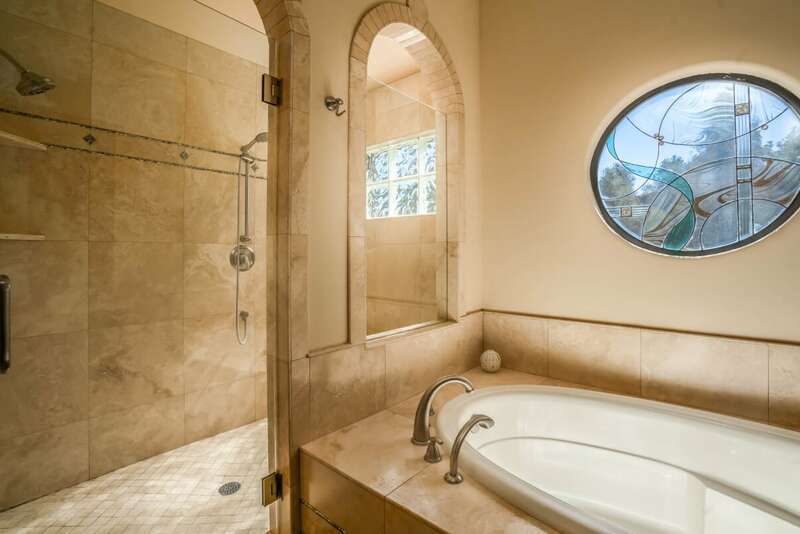 The luxurious ensuite bath features dual vanities, a large jetted tub with a gorgeous stained-glass window above it and an oversized walk in shower. 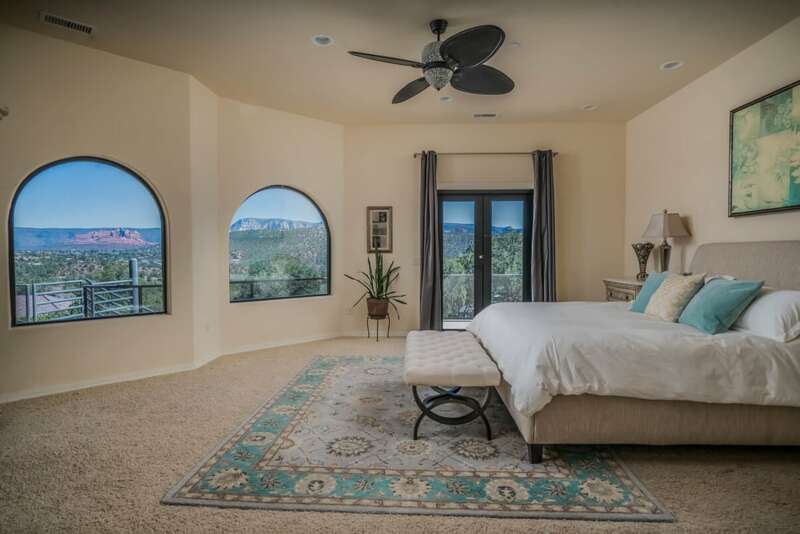 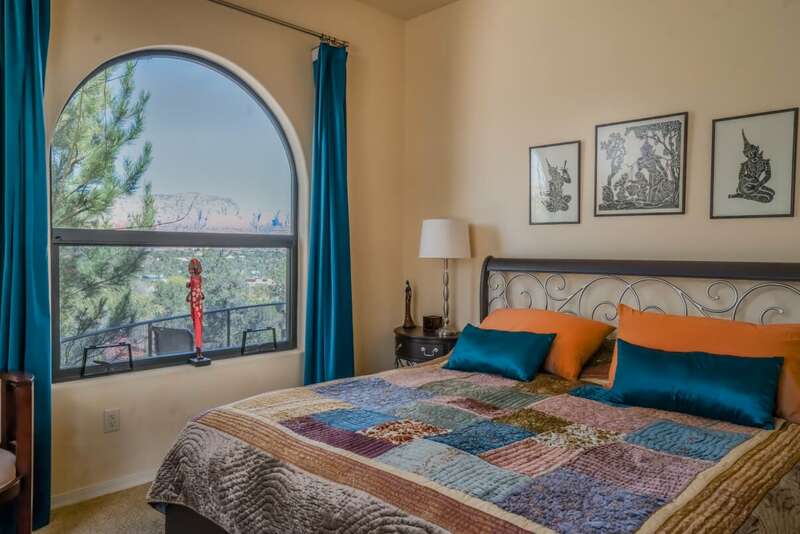 The 1st guest bedroom features a king bed, views of Thunder Mountain through the large arched windows and an adjacent half bath. 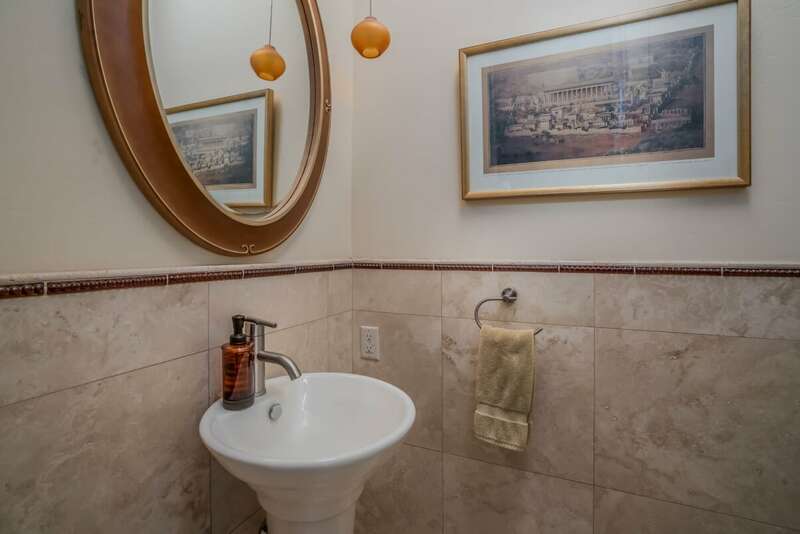 The 2nd guest suite has a queen bed and an ensuite bath. 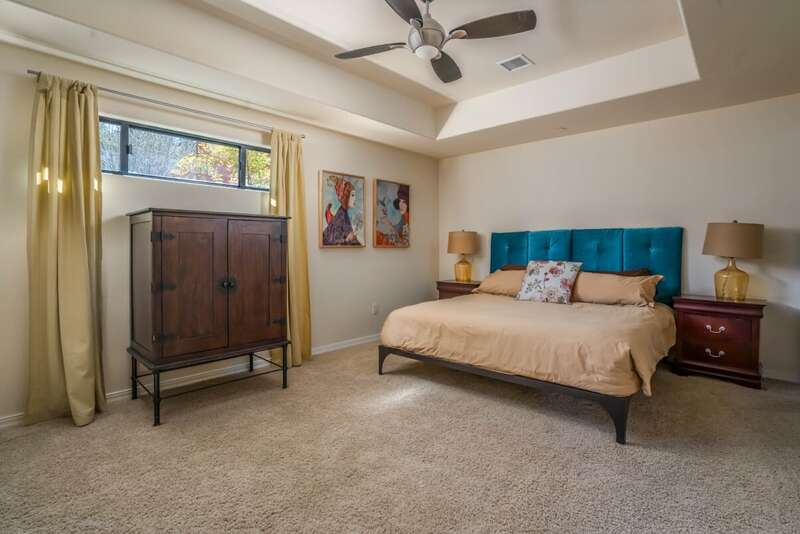 The two other bedrooms are on the lower level. 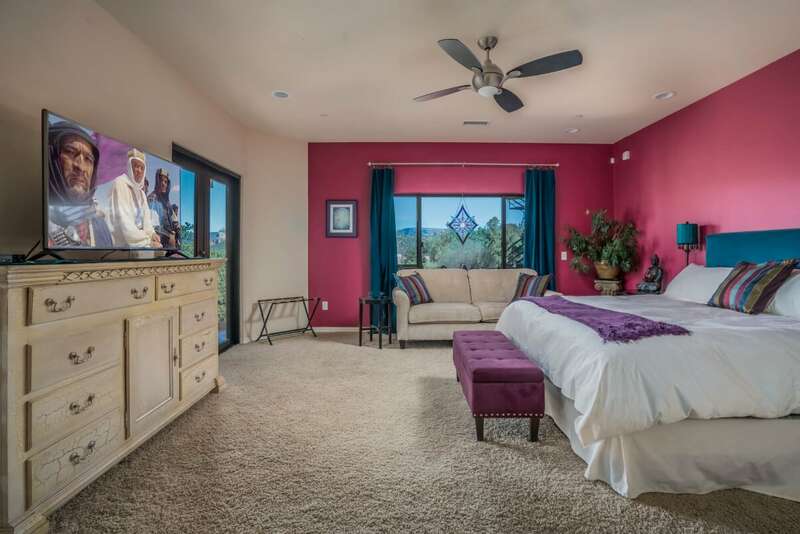 The 3rd guest room features a king bed, TV and its own separate entry. 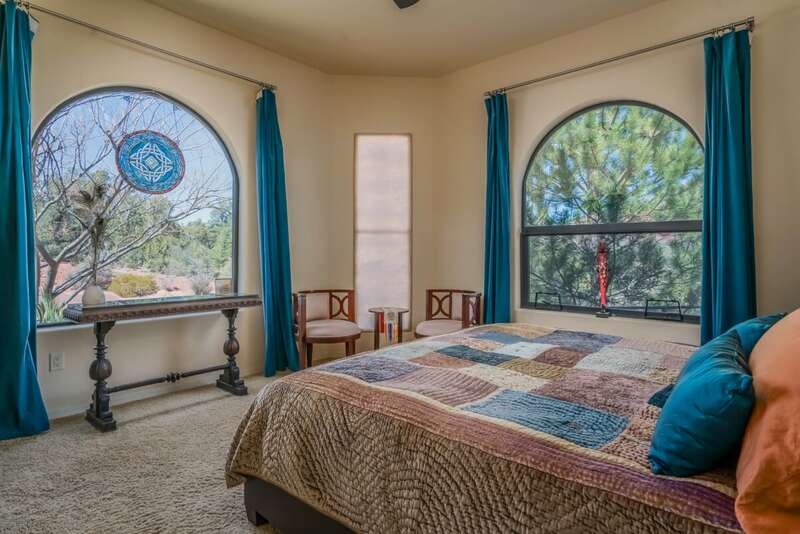 The 4th guest room also has a king bed. 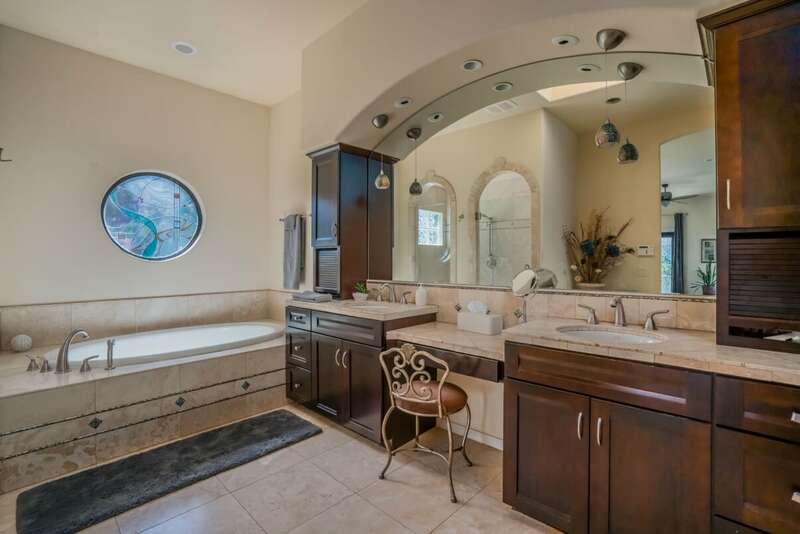 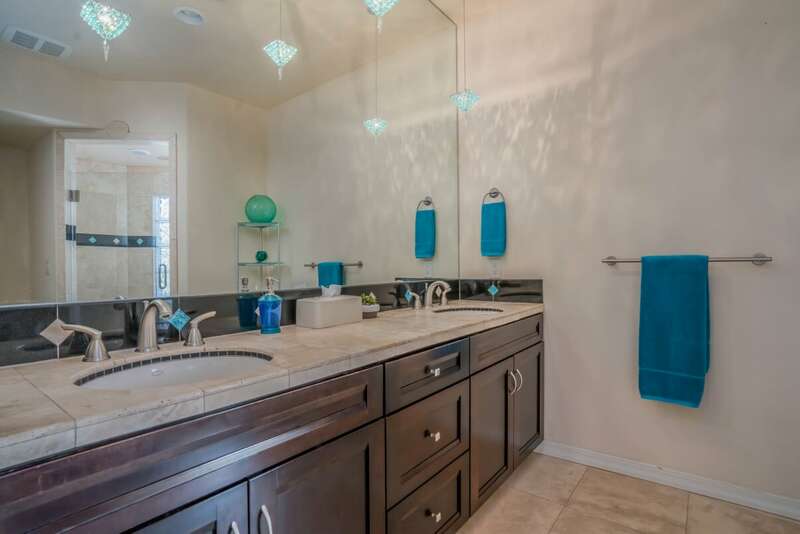 These two rooms share a bathroom with a spacious rain fall shower and Swarovski crystal pendant lighting. 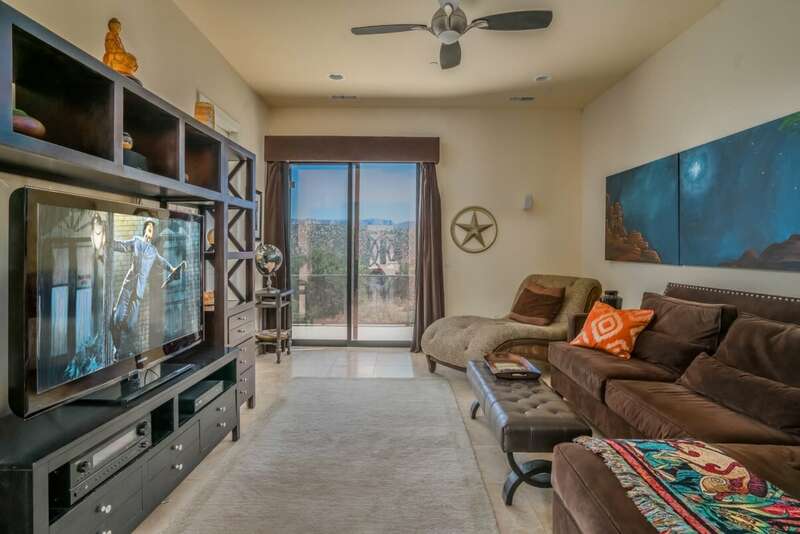 You will find the earth quadrant in the theater room, with earthy colors and textures. 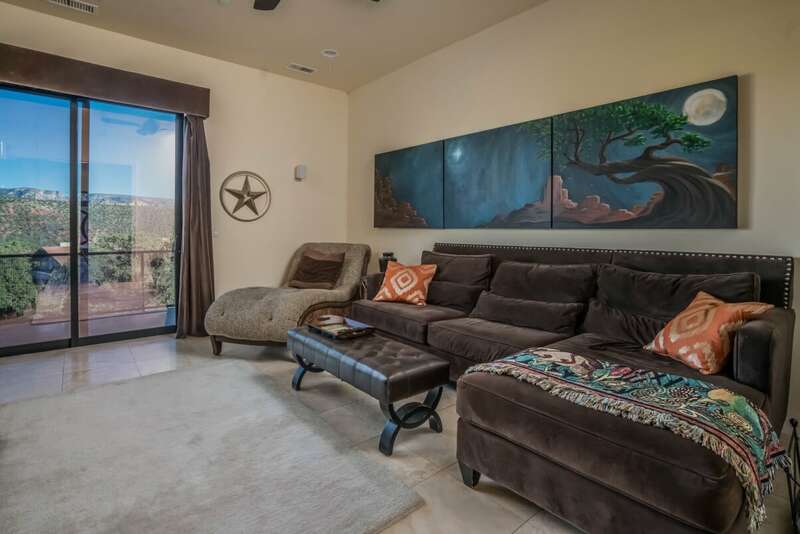 Enjoy curling up on the plush seating, dim the lights and watch your favorite movie on the large flat screen TV. 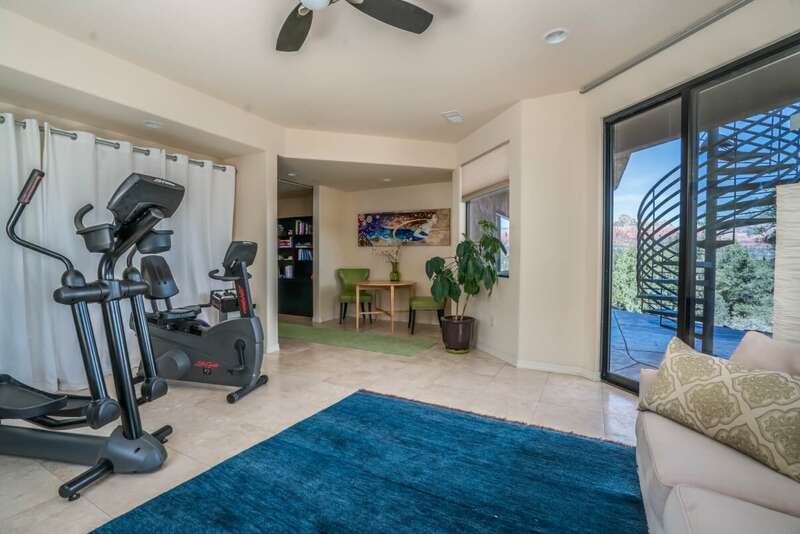 Don’t worry about missing a workout while on vacation and take advantage of the in-home gym. 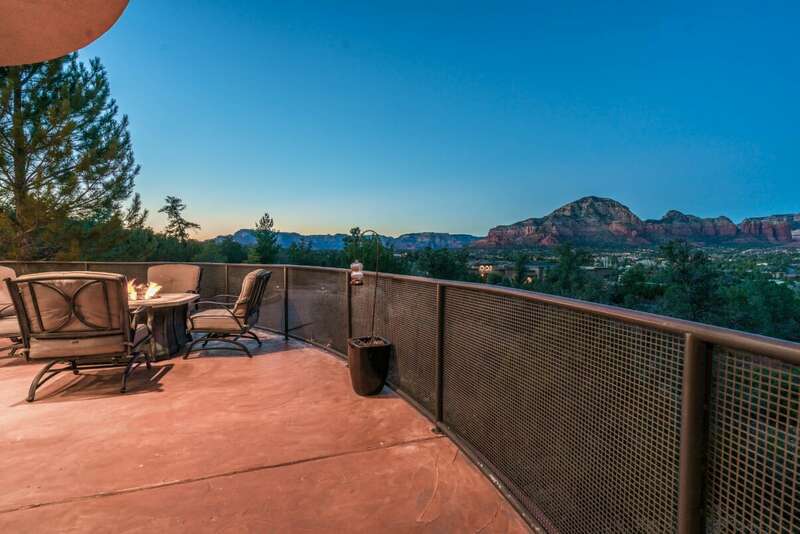 Afterwards take a long relaxing soak in your own private outdoor hot tub while admiring the panoramic views of the mountains. 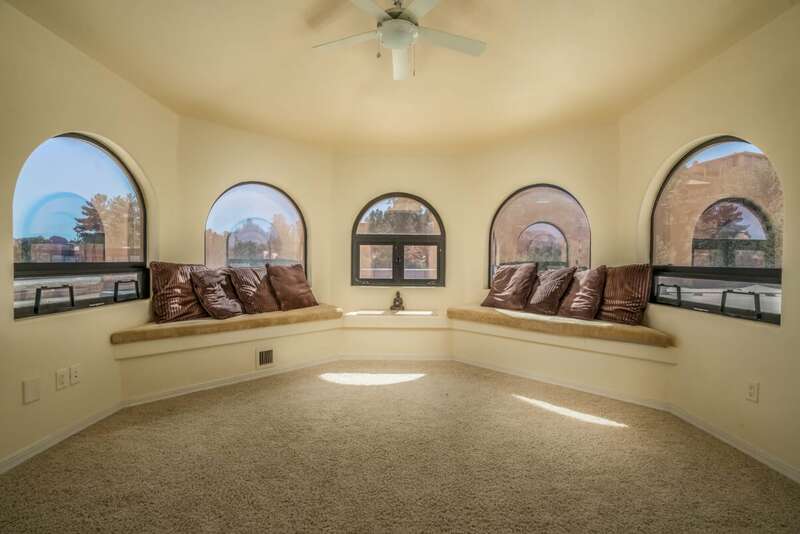 Every detail, from the custom artwork to the Travertine Mandala, of Casa De Llumination is carefully thought out. 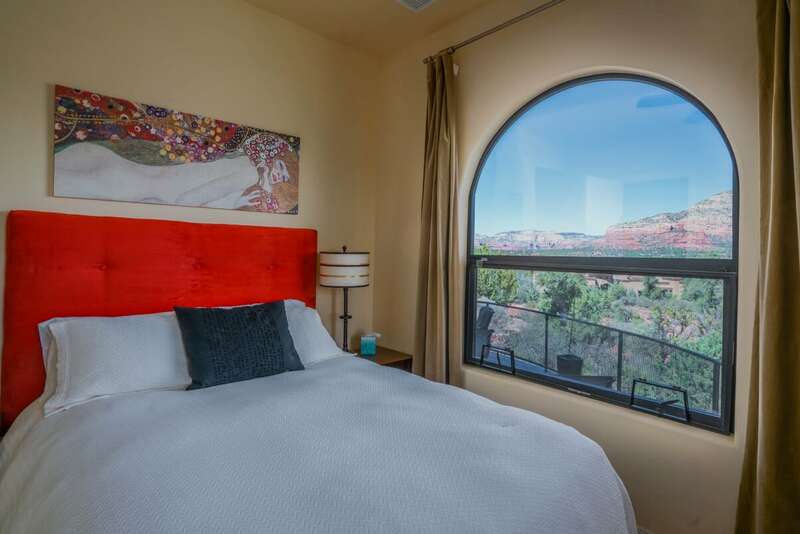 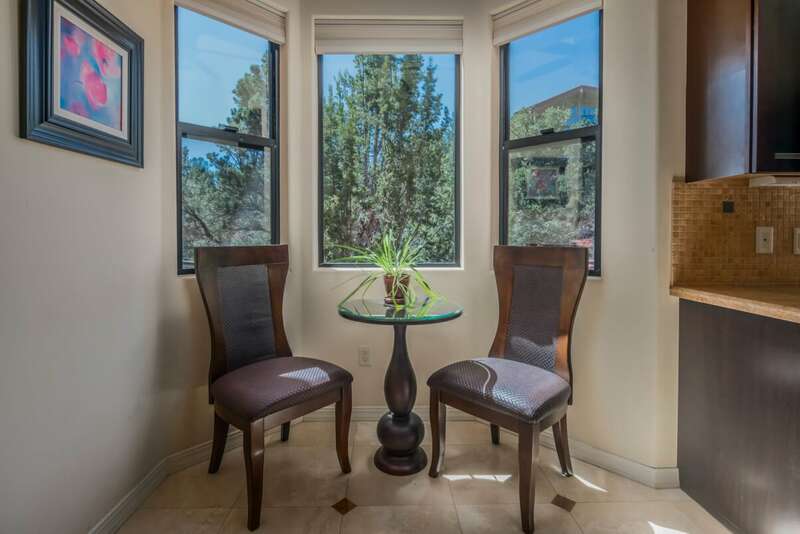 Enjoy easy access to shopping, art galleries, winery tours, breweries and Red Rock State Park. 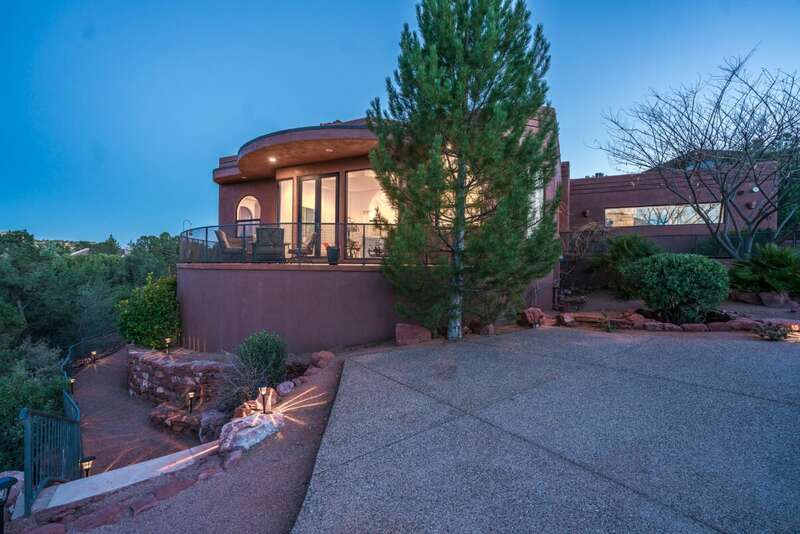 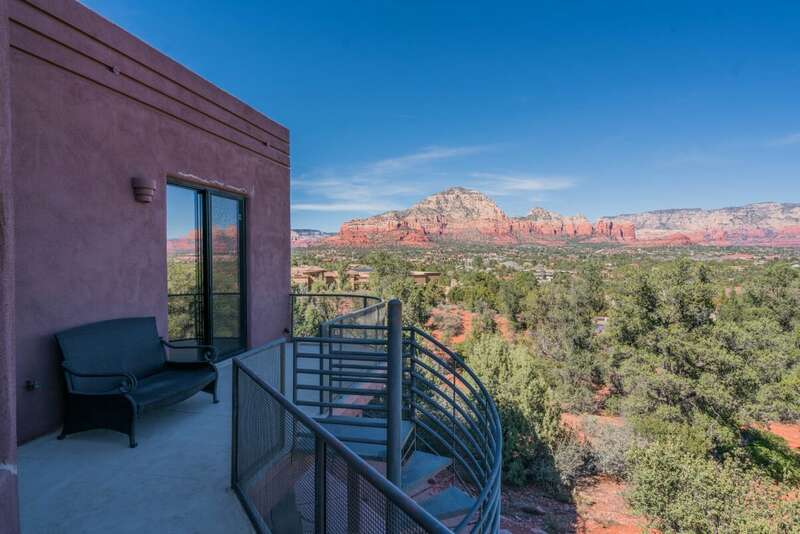 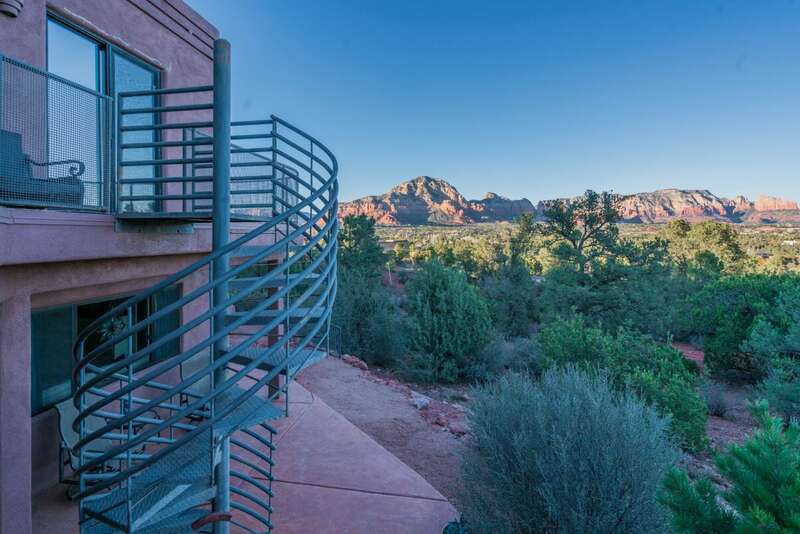 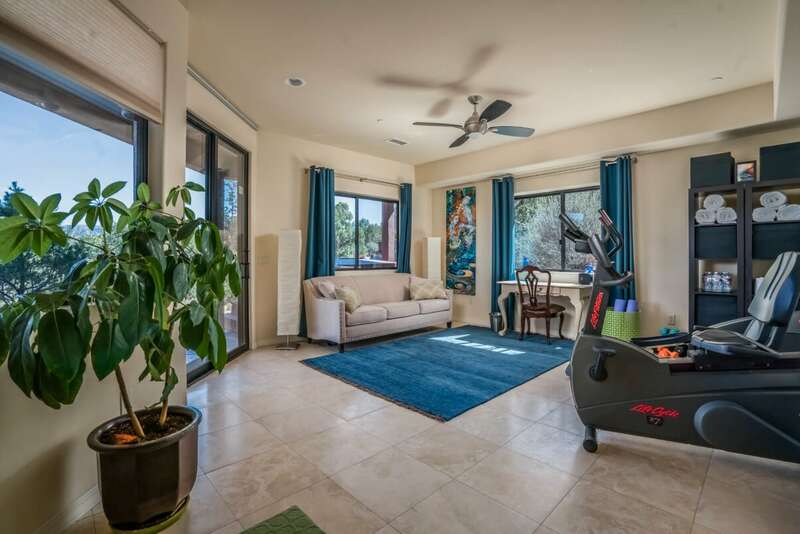 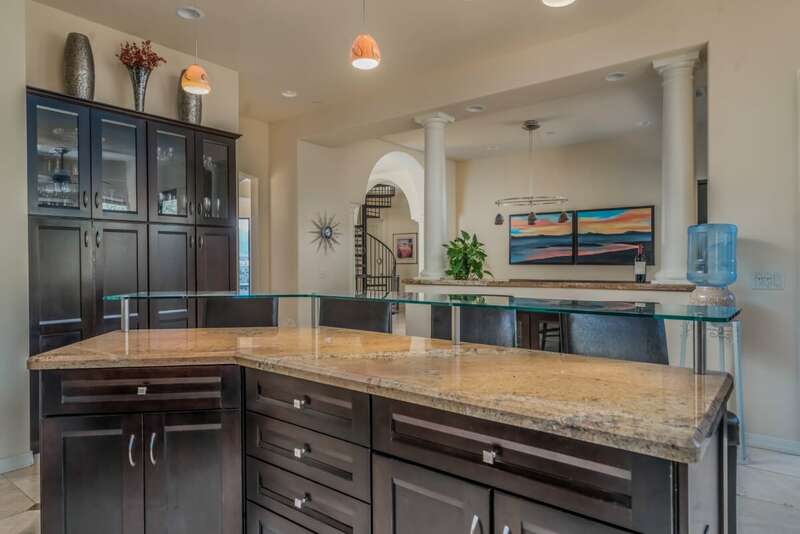 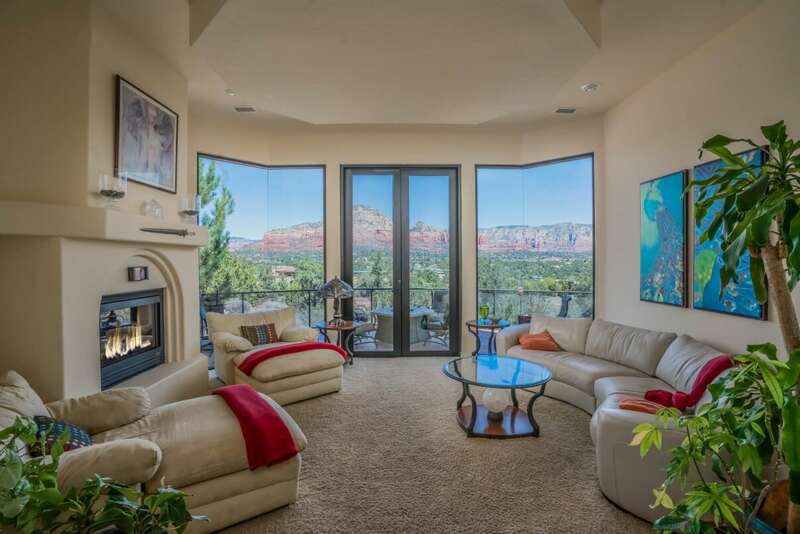 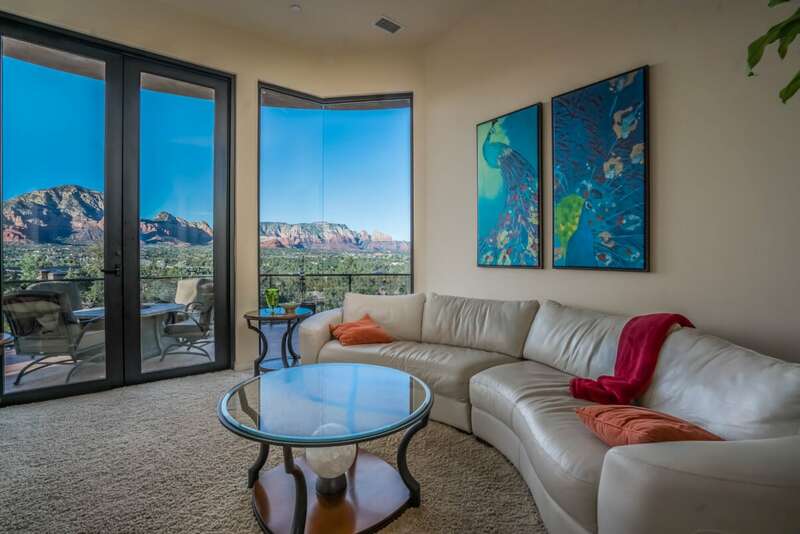 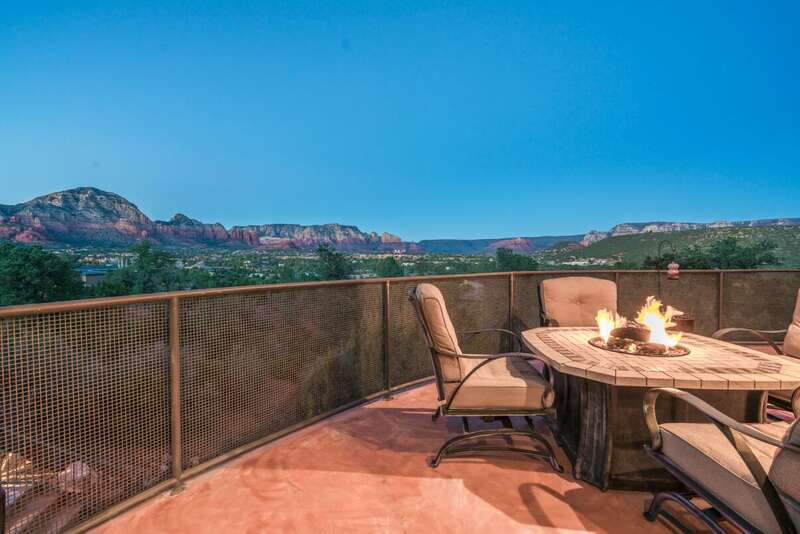 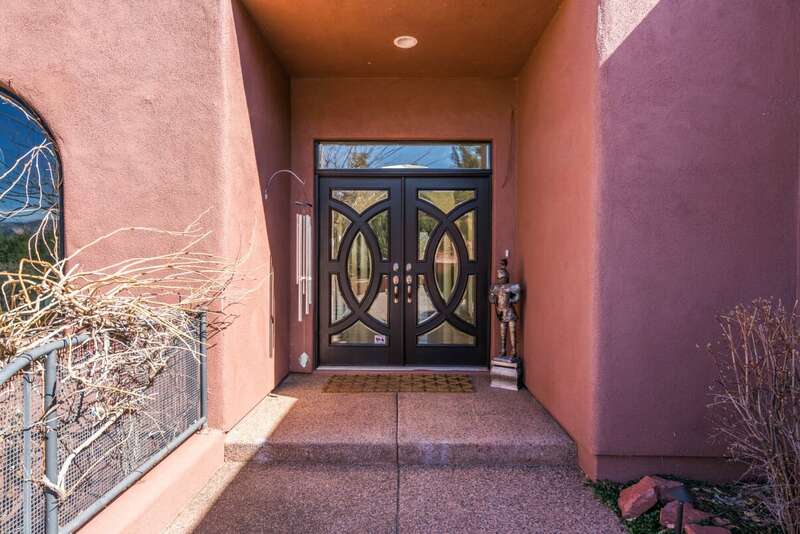 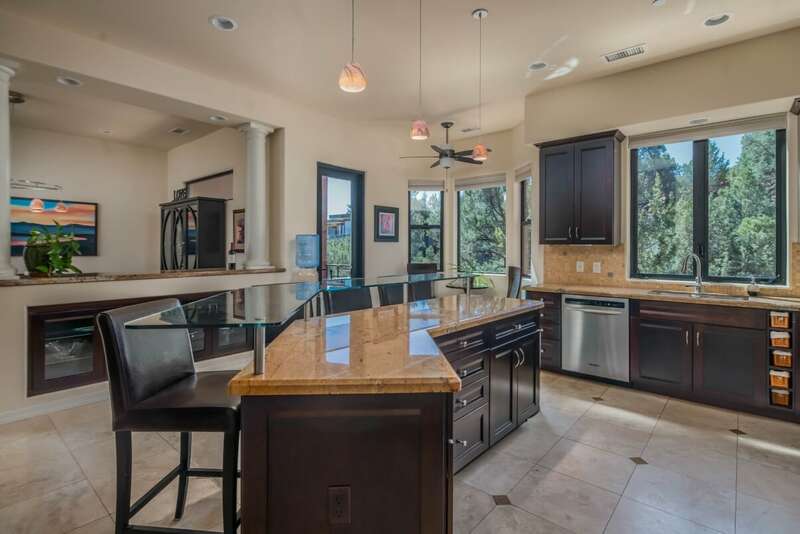 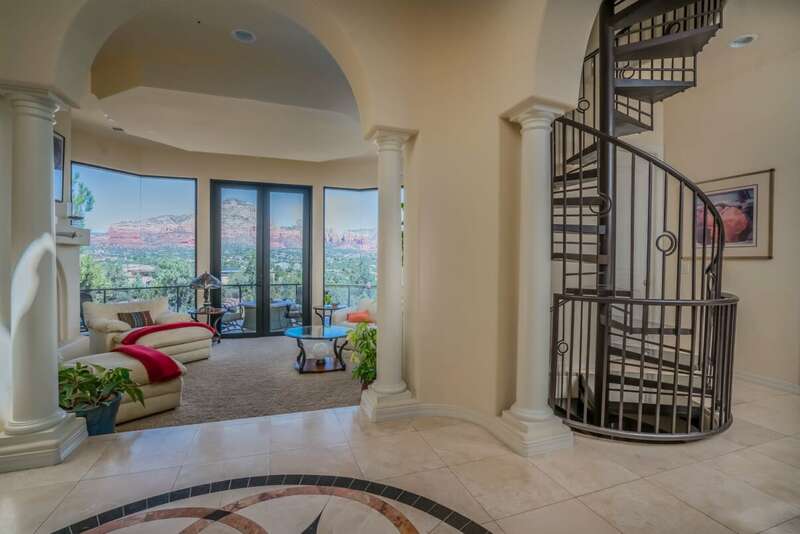 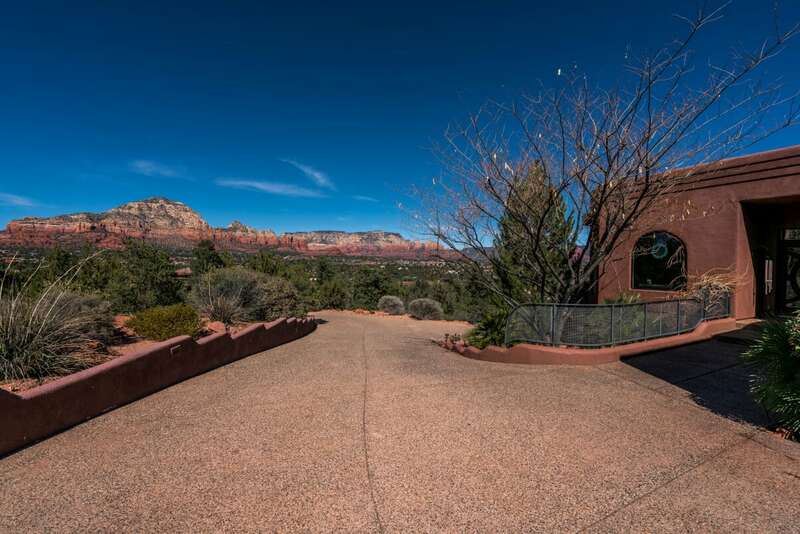 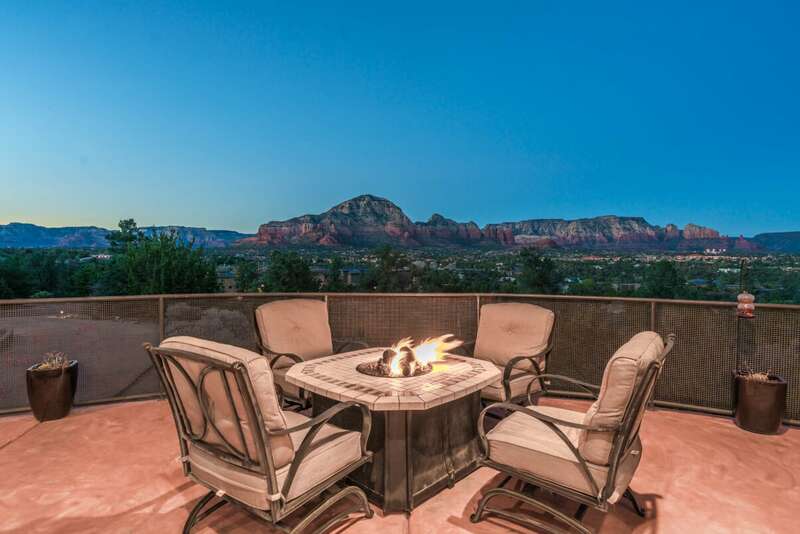 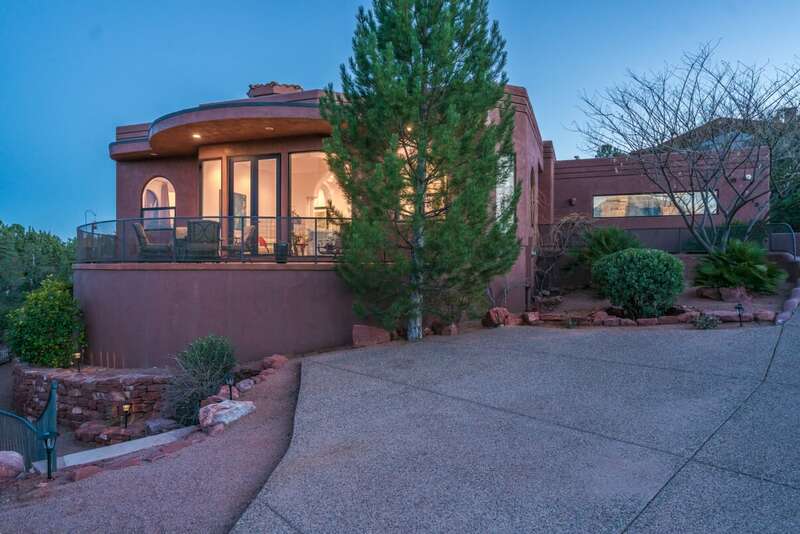 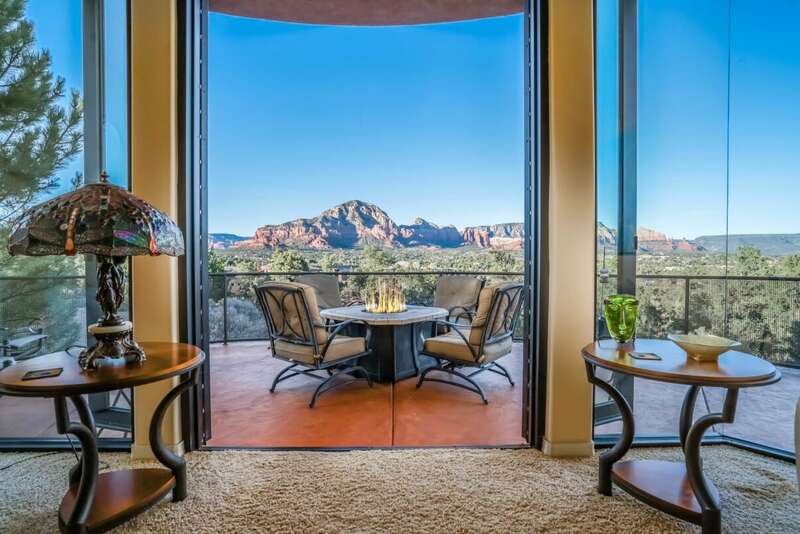 Designed by the creator of Llumination, don’t miss out on the opportunity to experience this home and all it has to offer in Sedona.